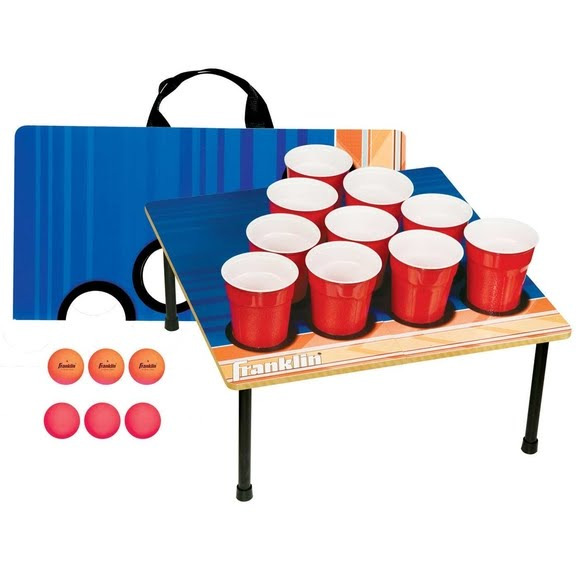 Franklin's 10-Cup Tailgate Game is a tailgate game staple. Fill cups with your choice of desired beverage and play one-on-one or with teams of two as you and your friends or family gear up for the big game. The foldable 10-cup targets make it easy to store and travel with this classic tailgate game and makes clean up after the game a breeze. Franklin&apos;s 10-Cup Tailgate Game is a tailgate game staple. Fill cups with your choice of desired beverage and play one-on-one or with teams of two as you and your friends or family gear up for the big game. The foldable 10-cup targets make it easy to store and travel with this classic tailgate game and makes clean up after the game a breeze.